Should Book Editors Be Involved in Social Media Engagement? 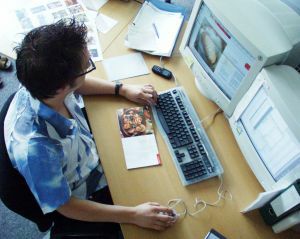 In today’s feature story netizeen’s CEO Jonathan Harris notes that one of the priorities for its company is “let[ting] editorial teams connect with their audiences.” This relationship — the reader-editor relationship — is one he views as not only underexploited, but also perhaps the best long-term solution for sustaining magazine readership and relevance. Of course, this all raises a simple question: should editors really be more involved in social media engagement with readers? What’s the benefit? Editors tend to function in the background. While the envision, commission and produce content for a magazine, website or book, their job is the behind-the-scenes grind shaping the content. But the author is the true star. While an editor often has insight into the content — deciding what stays in, what comes out, and helping to shape the voice — the author is the ultimate authority. While the editor is likely to have plenty to say, the editor is representative of the overall point of view of the publication or brand. This works better with magazines than publishers, which tend to have more transparent or anonymous brands. What then, ultimately, can a book editor lend to the social media conversation? They are not likely to raise questions about the works for which they are responsible or challenge their own author’s assertions. Perhaps they can provide a context for why a book was published in the first place and argue for its relevance. But, at the end of the day, isn’t this largely a function of public relations? Certainly editors working their social media network can help provide more of a “face” for publishers, but whether or not they should commit time to engaging directly with readers is debatable. Increasingly, the cry has been raised the “publishers don’t do enough to engage readers.” But don’t editors in particular have enough to do already? After all, isn’t it presumed that most editors are overworked already, with little time to do the very job their title suggests, you know, actually editing? Or is this call for more “social engagement” simply further evidence that the job of editor, like so much of the business, become closer to that of a sales and marketing executive, or as I argued earlier, banker. rather than gatekeepers and culture cognoscenti?